P.A.C.O. 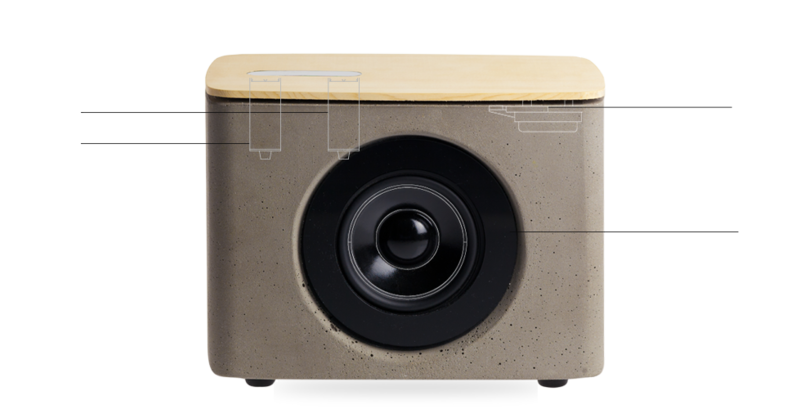 is a digital loudspeaker manufactured in concrete and fir. The concrete body enhances depth of bass and the harmonic wood gives sound clarity. 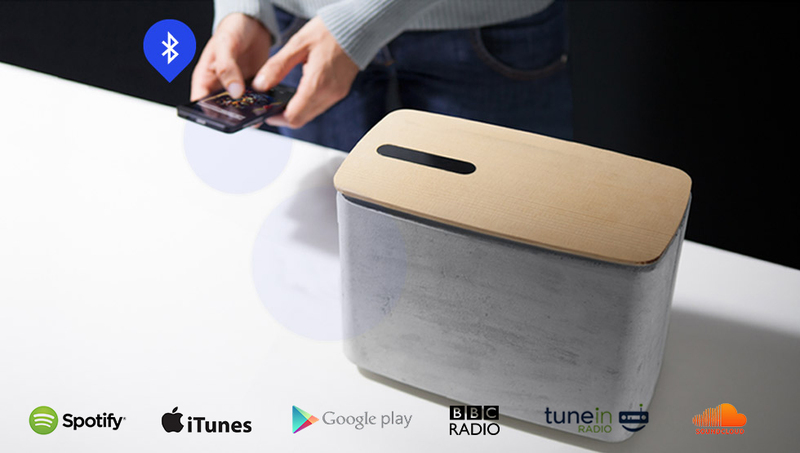 You can play music from your smartphone, laptop or tablet via Bluetooth wireless streaming. Music controls can be managed using a gestural interface. 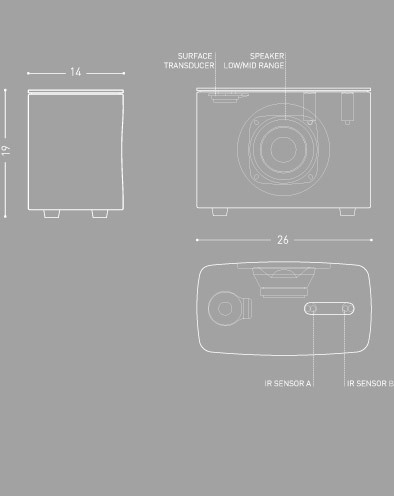 Bluetooth speaker with gestural controls. WHAT THEY SAY ABOUT P.A.C.O. "If you're searching for a product that'll let you create "sound and light scenarios", Cromatica – a new digital product combining table lamp and speaker – is for you." "I suoi designer hanno immesso nel mercato un progetto, insomma, fatto sì da sé, ma per il pubblico, interessandosi anche dell&apos;esperienza dell&apos;oggetto: un progetto nuovo e a 360° open source." "We were in "search of excellence"… today you have convinced the intenational expert panel with the design quality of your product.. you have proved your know-how." "You can fully manage music controls and volume settings through user&apos;s gestural movements – swipe your hand over the sensor to change the song, or hold it in place to raise the volume." 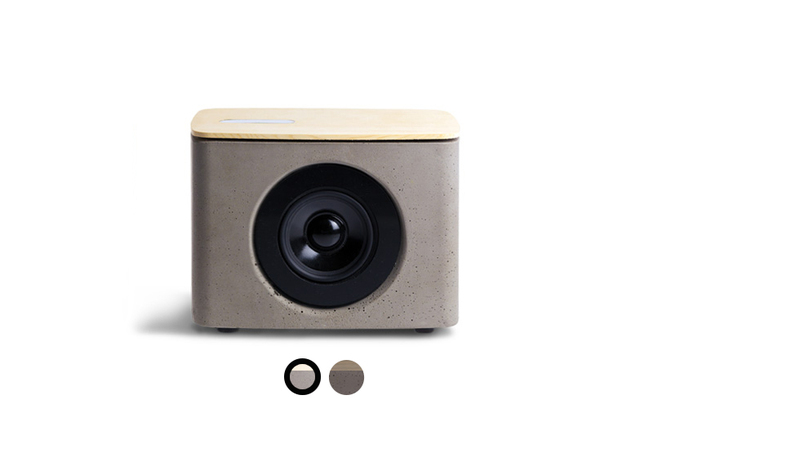 P.A.C.O is a digital loudspeaker manufactured in concrete and fir harmonic board. The concreate body offers deep and embracing basses. 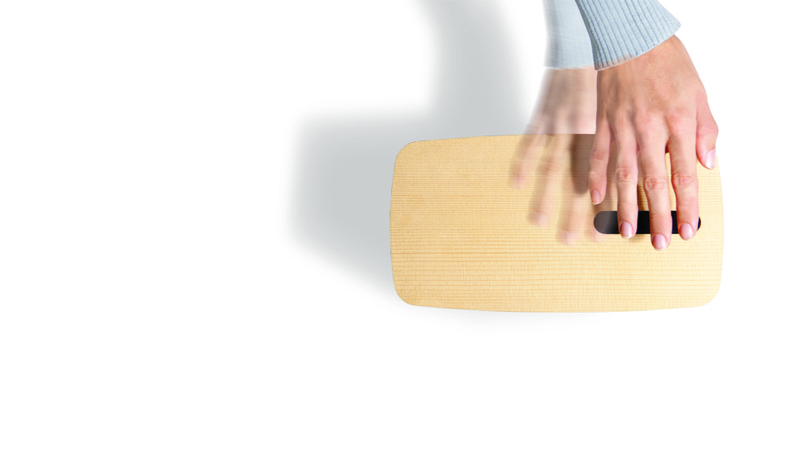 The harmonic wood cover diffuses the sound in 360°. Music can be streamed wirelessly from your favorite player to P.A.C.O. using your smartphone or any Bluetooth compatible device. Bluetooth 4.0, compatible with any Bluetooth 2.1 and higher devices. AC/DC multi-plug power supply 12V 2A compatible with all international sockets.